Based in Toronto, our company has been working with the Promotional Companies as a contract screen printing company in some of Canada's major cities including Montreal, Vancouver, Ottawa, & Calgary. Supplying both large and small companies with an array of custom screen printing products, while keeping exceptional customer service our number one priority. We offer an extensive variety of screen printing mediums to our customers to help them increase brand awareness and recognition, promote events & boost sales. Please browse our site & feel free to contact us at any time. 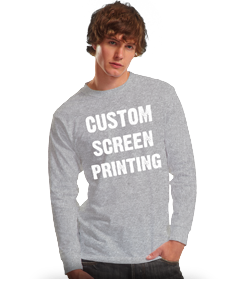 Screen Printing Company in Canada: Promotional Media is one of the most well-known contract screen printing companies in Canada.